The Eastern Front shifts from the rubble-strewn streets of Stalingrad back across the Russian Steppe as the Red Army rolls back the German invasion. 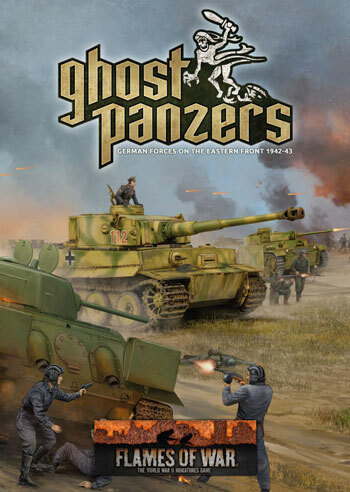 With new weapons fielded by the Wehrmacht arriving on the front to aid in retaking lost ground and the constant pressure of the determined Soviet resistance, the brutal battle for the East continues with Ghost Panzers and Red Banner. Background on the German Army in 1943, the Third Battle of Kharkov, and the great summer offensive at Kursk. Instructions on how to build a Panther Company, Mixed Panzer Company, Armoured Panzergrenadier Company, Tiger Heavy Tank Company, and a StuG Assault Gun Company. Triumphant at Stalingrad, the first months of 1943 saw the Red Army racing westwards, surrounding and destroying three Germans armies, only stopping when a German counterattack in March combined with the spring muds halted the offensive. After months of preparation, the Germans launched their summer offensive at Kursk, only to be smashed back by the revitalised Red Army. Not giving the Germans any respite, the Soviet forces struck with a continuous series of hammer blows along the entire front, driving all before them for the rest of the year. 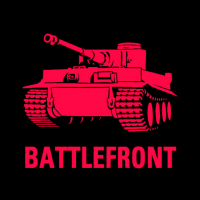 The Red Army had learned how to win, and was now unstoppable. Background on the Soviet Army and its victorious 1943 summer and autumn offensives that threw the German armies back from Kursk and across the Dnieper River. 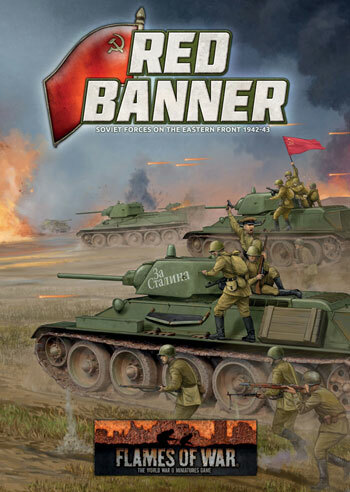 Instructions on how to build a T-34 Tank Battalion, T-34 Hero Tank Battalion, KV-1s Guards Heavy Tank Regiment, Churchill Guards Heavy Tank Regiment, Motor Rifle Battalion, Hero Motor Rifle Battalion and Reconnaissance Company.